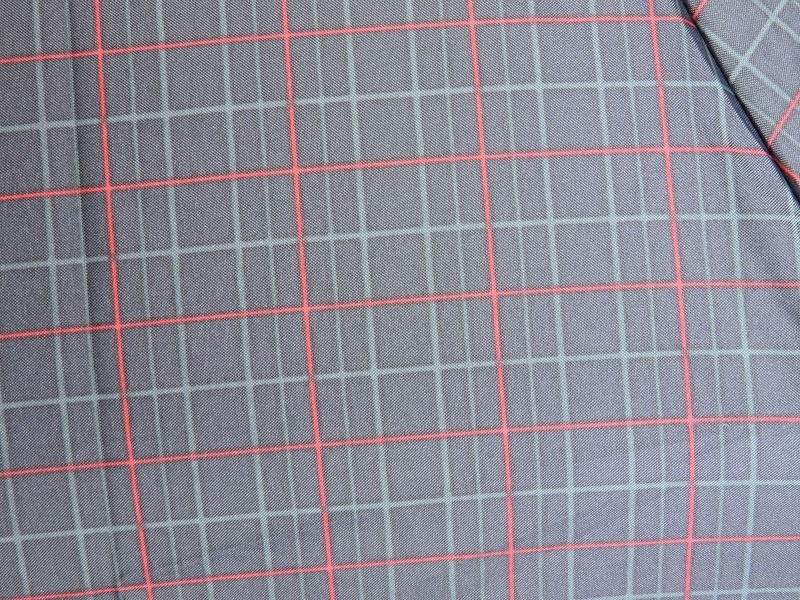 Ezpeleta Gents Grid Pattern Automatic Walking Umbrella brand new to Umbrella Heaven. A stylish gent’s umbrella with 4 different variations to choose from. Auto opening and with smooth crook handle what’s not to like? This is the Ezpeleta Gents Grid Pattern Automatic Walking Umbrella. 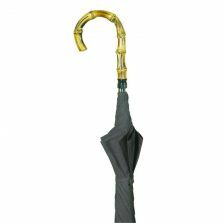 Part of the Ezpeleta Designer Umbrellas collection, brand new to Umbrella Heaven. 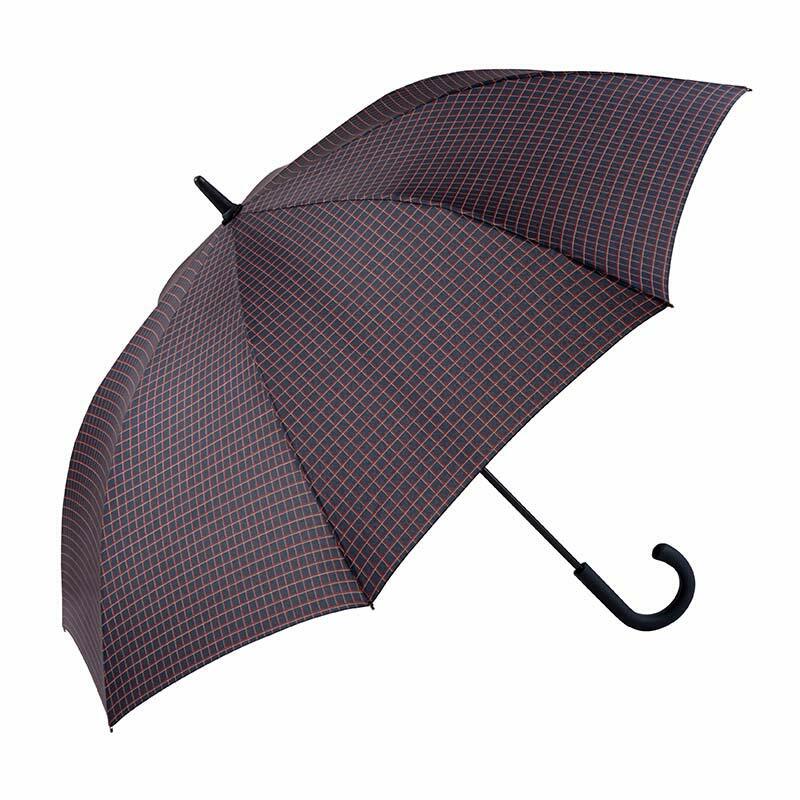 This particular model is a really fine example of a gent’s windproof umbrella. 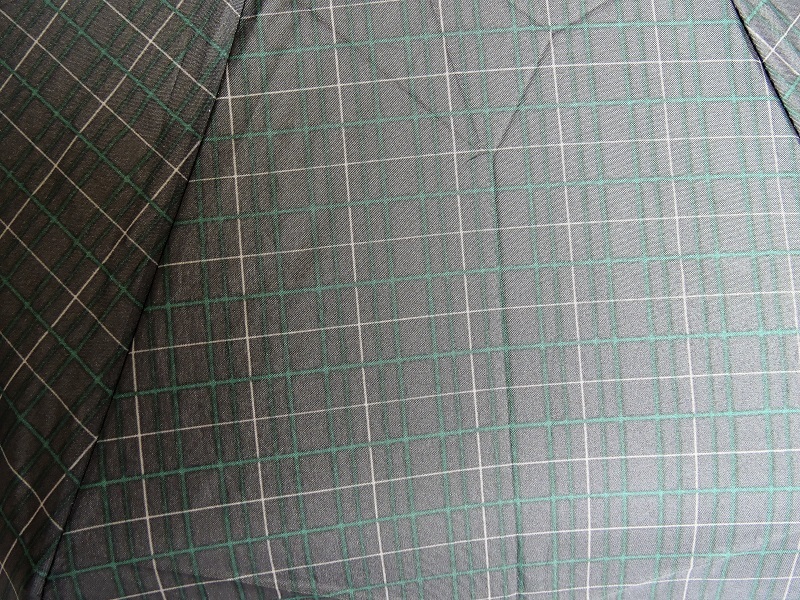 It has a really large canopy, auto open mechanism and a comfy hold crook handle with integrated Auto Open button. 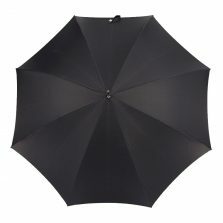 The flexible fibreglass frame means that this umbrella will withstand robust weather conditions, keeping you nice and dry. 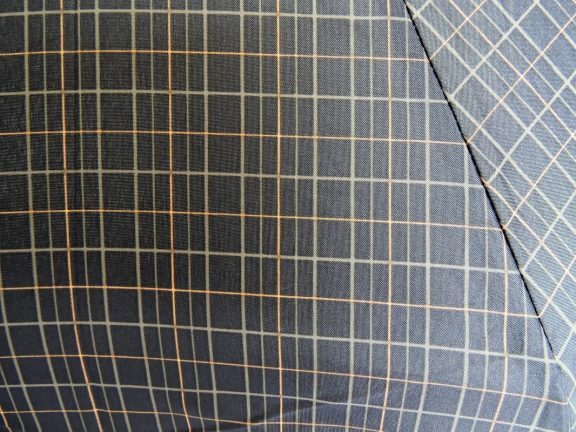 We see a lot of umbrellas here at Umbrella Heaven but this is definitely one of my favourites for men. 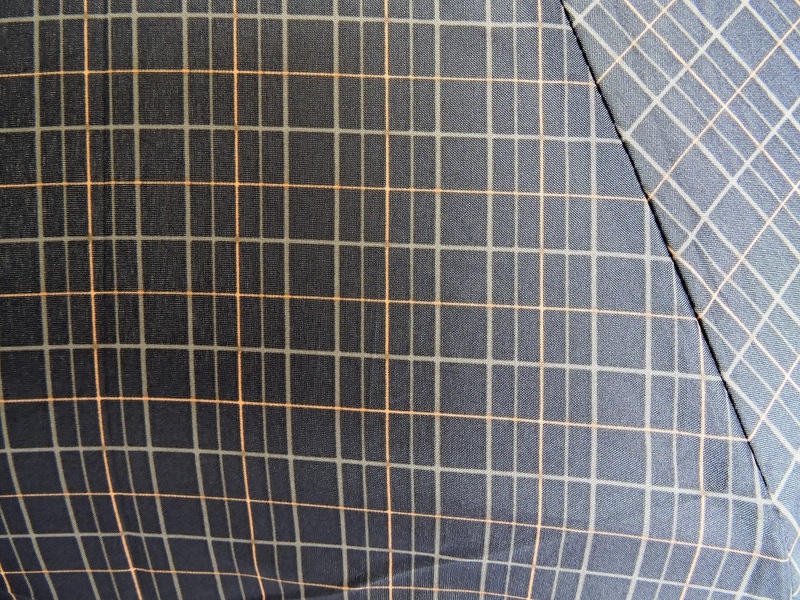 It’s so smart and sleek, it just oozes style and quality. 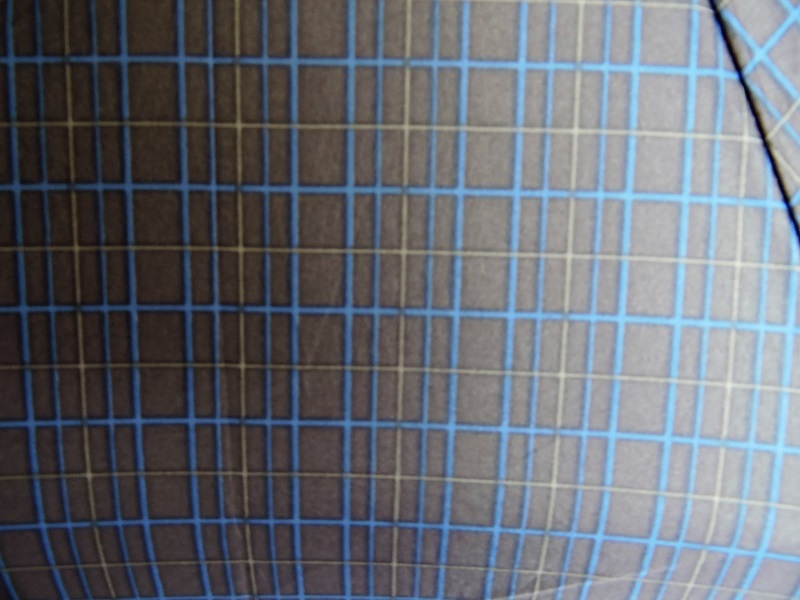 The Ezpeleta Gents Grid Pattern Automatic Walking Umbrella canopy has a smart grid design on it and is available in 4 different colour combinations: A grey background with blue and green grid lines, a navy background with grey and salmon grid lines, a charcoal background with green and grey grid lines and finally a navy background with red and green grid lines. Which one will you choose? 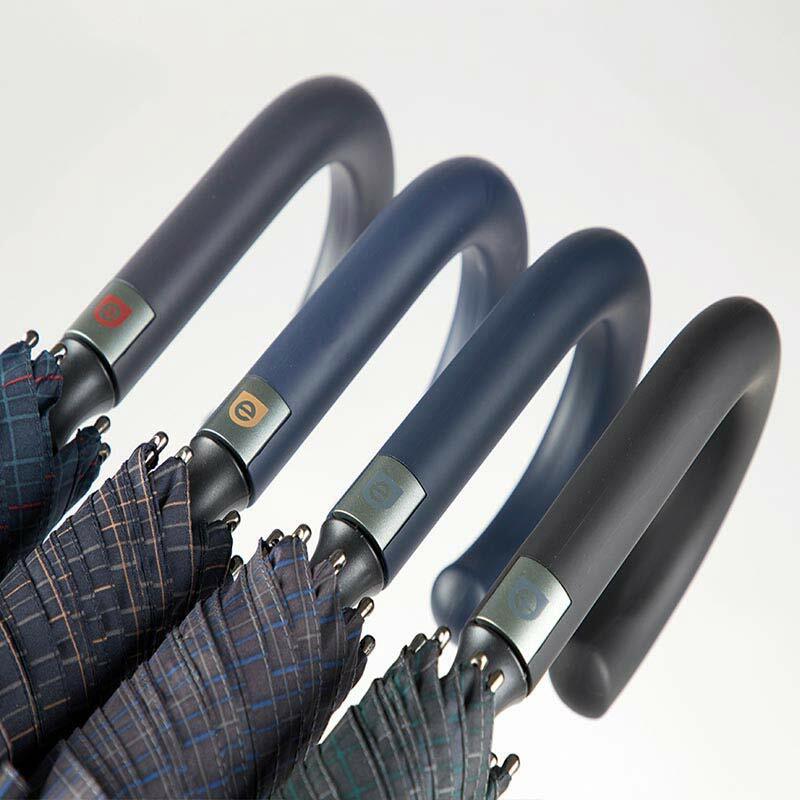 If you’re still looking for a windproof umbrella, please click and browse the rest of our mens windproof umbrellas! 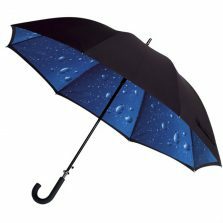 Click to view more of our Ezpeleta umbrellas. For ladies, gents and children. 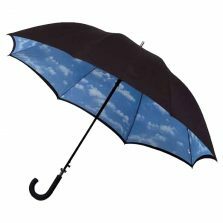 Here at Umbrella Heaven we now have a range of over 1000 different styles and colours. 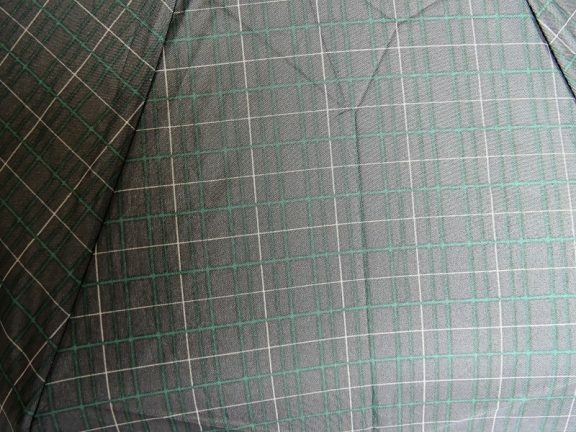 Our range changes regularly to keep in line with fashion trends.